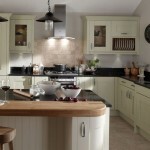 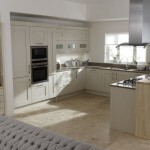 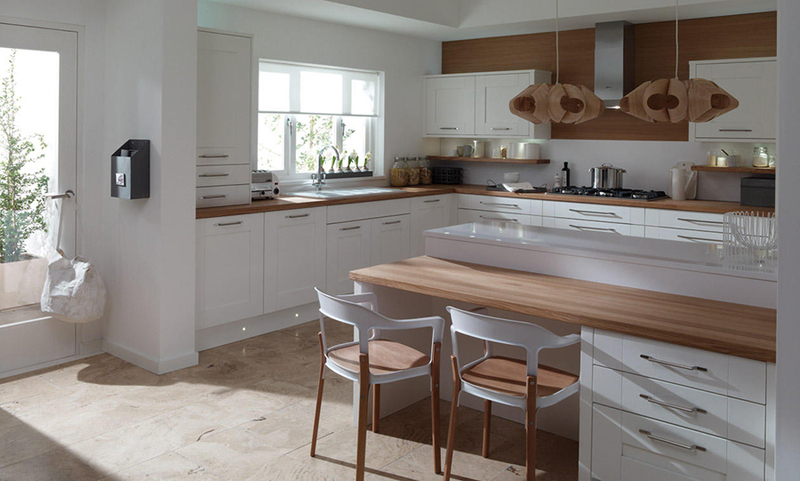 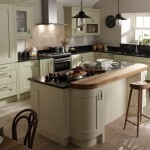 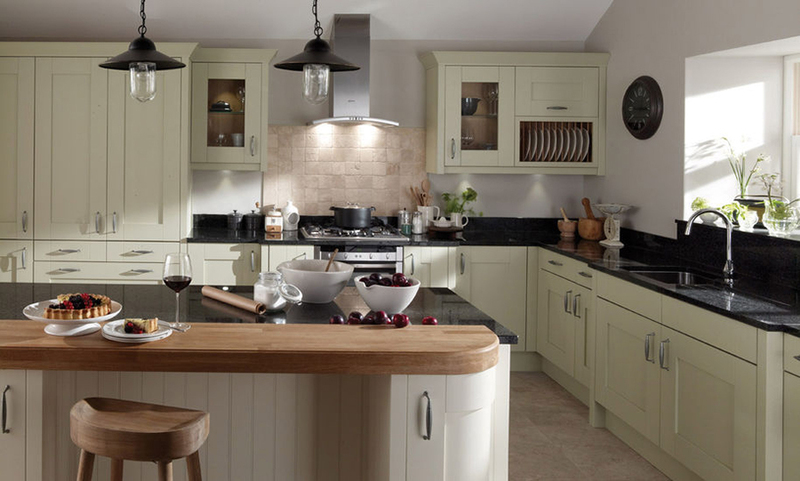 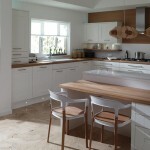 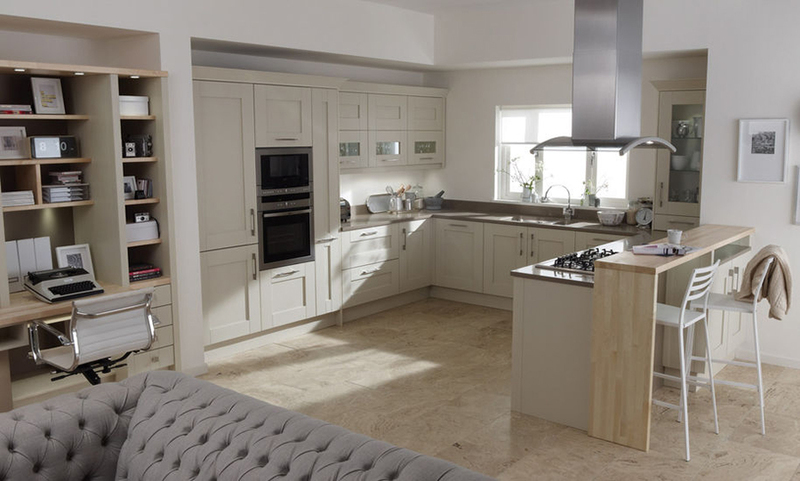 The Milbourne painted classic kitchen is an over painted wide frame shaker kitchen. 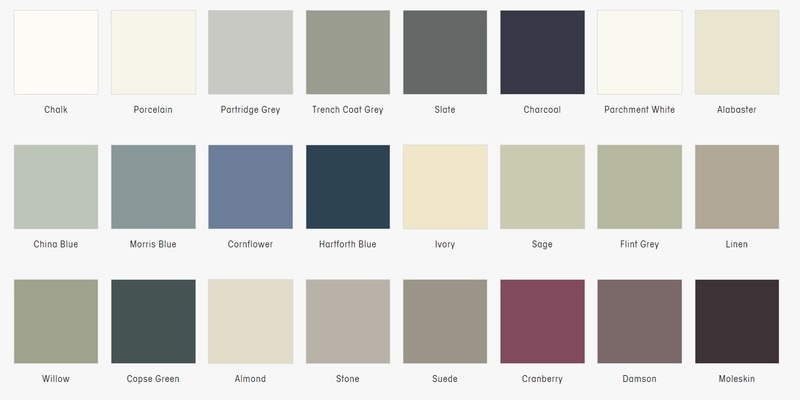 It offers twenty-four colours within the range. 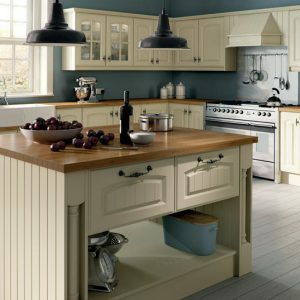 The accessories are numerious within the range and can be supplemented with Broadoak accessories if necessary. 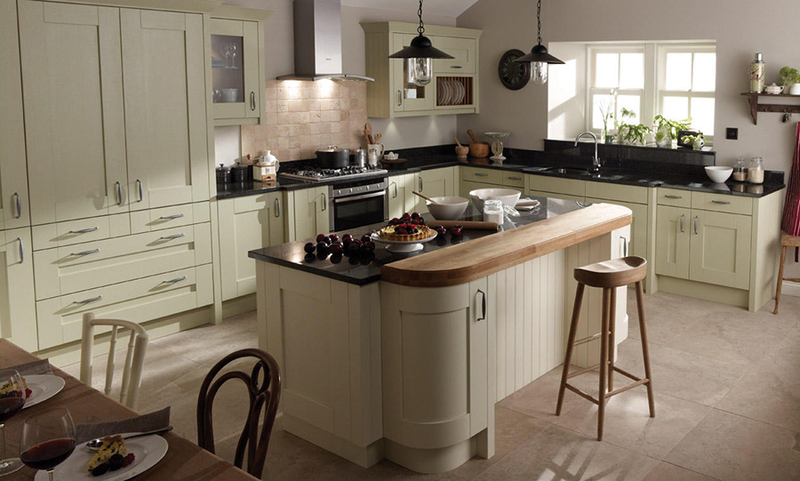 The Milbourne painted classic kitchen door is available in twenty-four colours with a wide range of matching accessories. 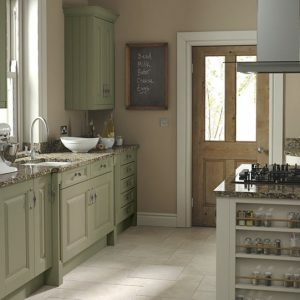 For a painted kitchen this door offers real value for money. 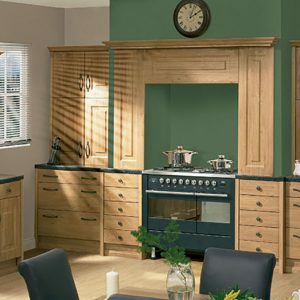 Though not available in bespoke sizes it has a wide range of doors within the range so getting the kitchen to fit your room is not a problem. 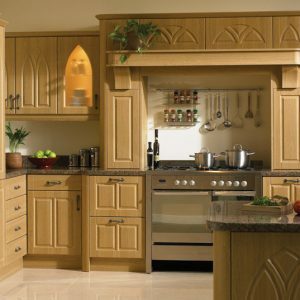 We at Martha Mockford receive these doors from Second Nature and fit them to our high-density Mfc cabinets. 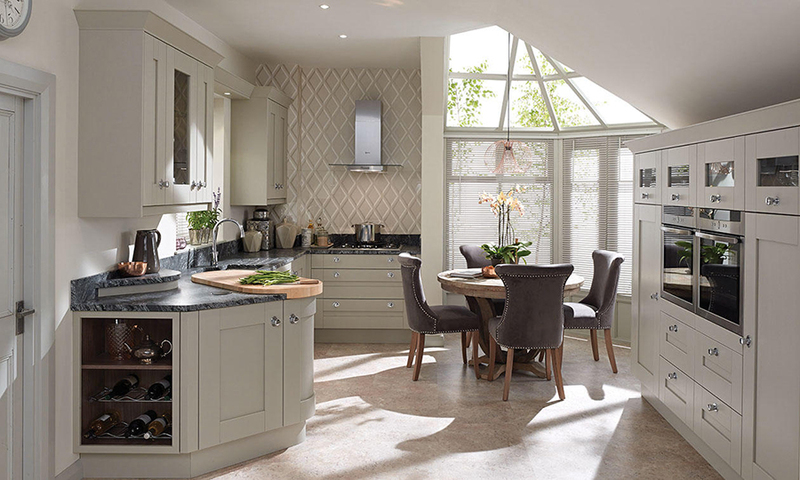 Over painted foil doors became available about five years ago and have since then taken quite a large part of the kitchen market. 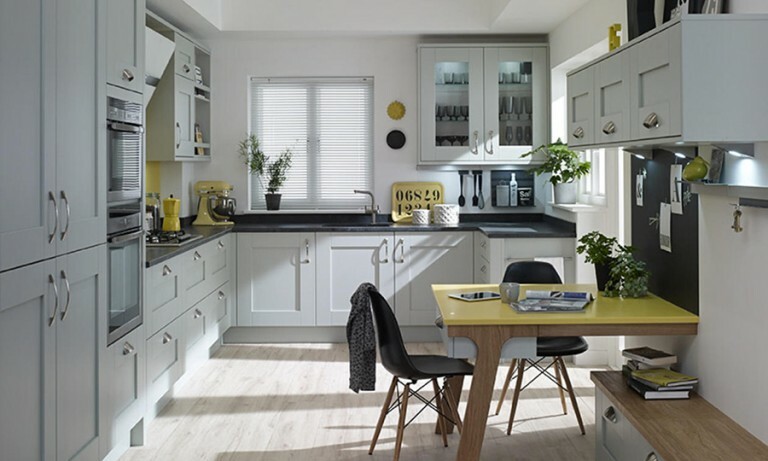 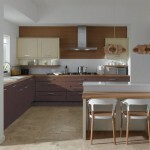 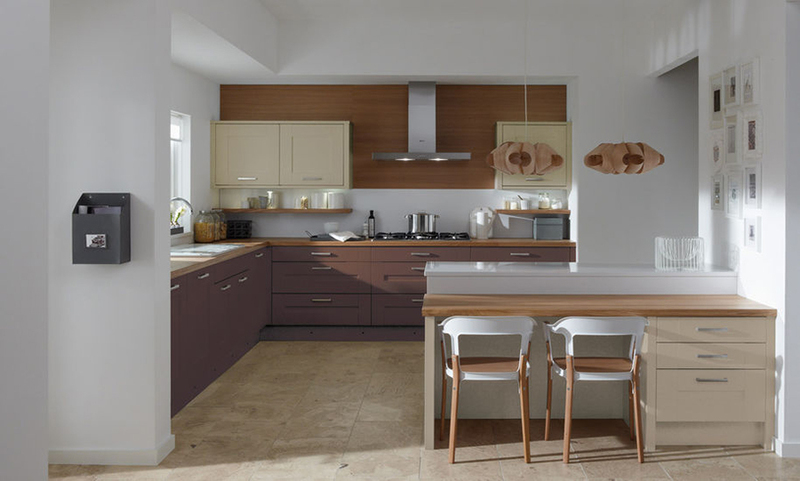 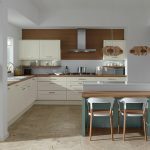 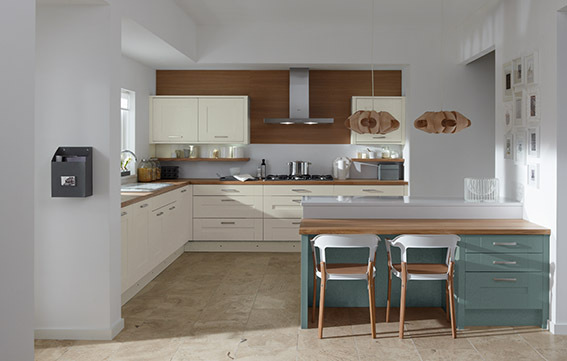 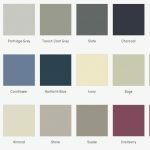 This new technology has been able to bring the painted kitchen aspiration to a wider audience than had been possible with timber painted kitchen doors.